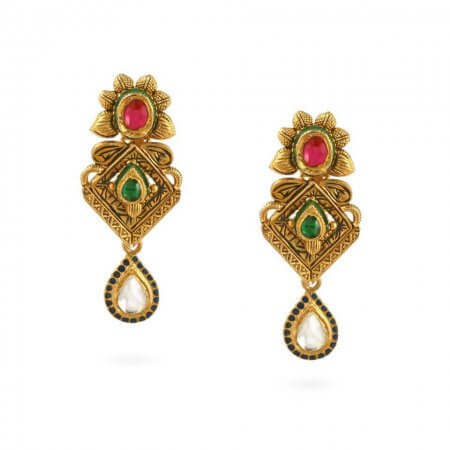 Gift Guide: Why choose Kundan Indian jewellery? 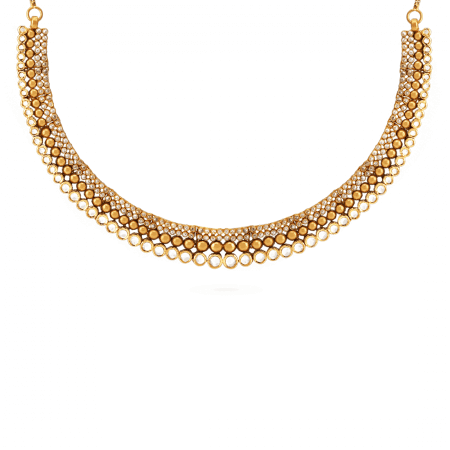 Pick up a glamorous Kundan necklace and you’re following in the footsteps of centuries of Indian women. This ancient style appeals to anyone who loves the history of our culture and wants to emphasise or celebrate that link. 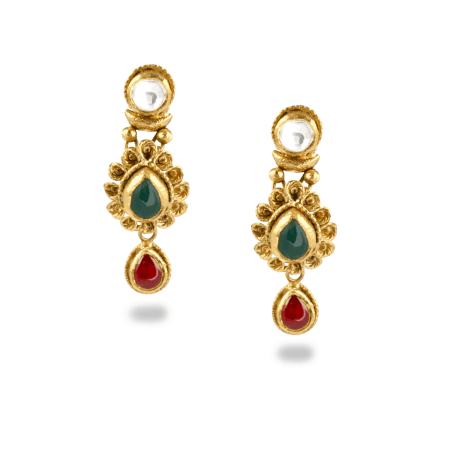 Our Kundan collection is inspired by the past and designed for the future; it’s loaded with heritage and investment pieces that make wonderful gifts. 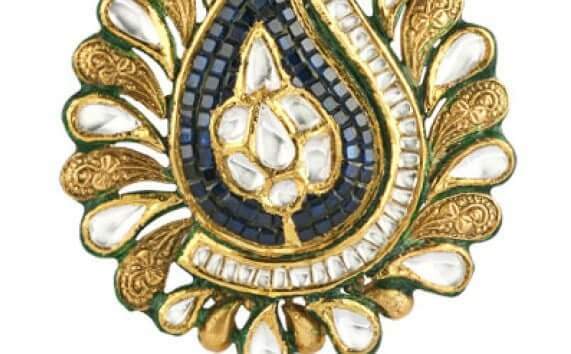 Pure Kundan Jewellery So what is the Kundan technique? The look is very distinctive. 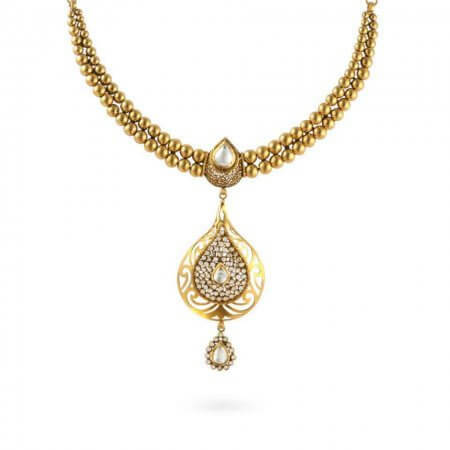 Although the word itself means ‘gold’, Kundan refers to a method of setting a gemstone into gold using 22ct foil to make it look embedded in the precious metal. It’s often likened with Polki – a Pinterest favourite – which represents a similar style of jewellery, but actually refers to uncut diamonds. 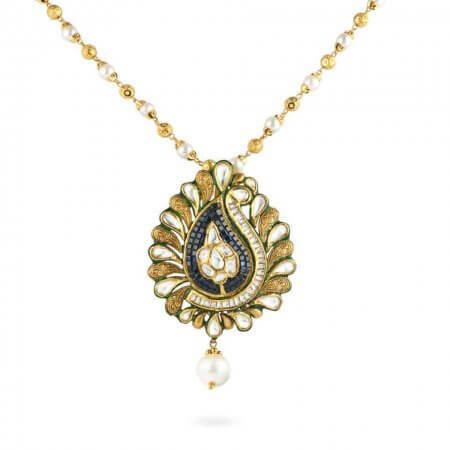 Kundan jewellery is frequently finished by a Meenakar who adds jewel-toned enamel-work (meenakari), either on the back of the gemstone or elsewhere on the piece. 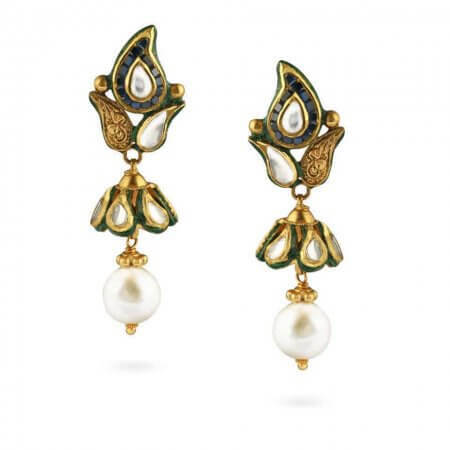 Indian jewellery has long been a mark of social status – in the 16th Century, the Mughals established Sumptuary laws to ensure that only ruling classes were permitted to wear jewellery. Since then it has been important as an investment and has historically been, for many Indian women, their main asset (especially as the law restricted women’s rights over property ownership). 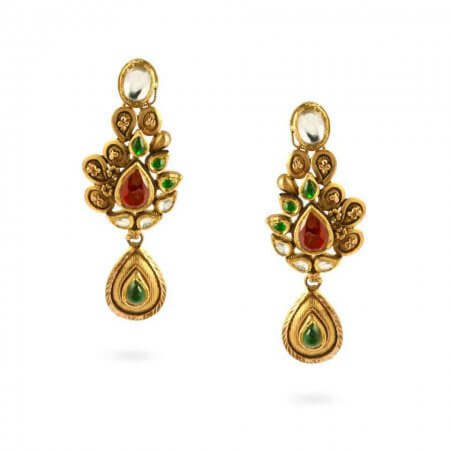 Since ancient times, a gift of jewellery has been an important statement. It’s probably the most enjoyable, romantic, and pleasure-giving investment that you could ever make. Jewellery elevates self-esteem. It communicates love and devotion. It also contains long-lasting value that can be passed down through generations – collecting special stories along the way. It is a truly memorable gift that will probably never be forgotten. As you can tell, we’re big fans of this style of jewellery. It has a vintage and historic story that you don’t get with a modern, minimal collection. The colours are fabulous and joyful. The style is decadent and glamorous – it’s made for women who are utterly beloved. 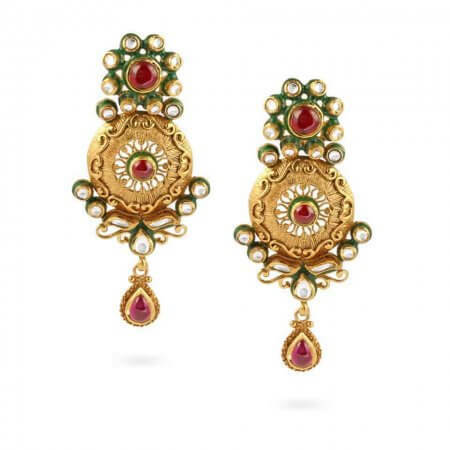 So we had a great time choosing our Kundan earrings and necklaces, looking for intricate detail, interesting design touches and unusual use of gemstones. The result is a collection that’s just perfect for giving. 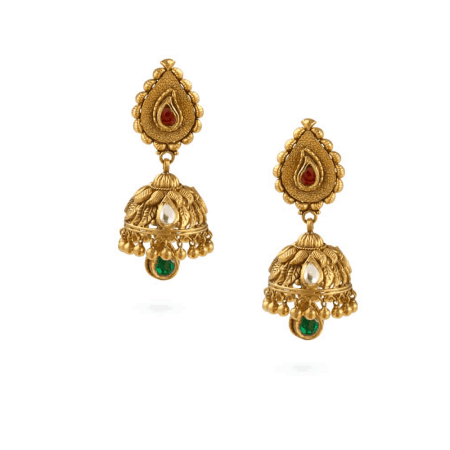 There are plenty of Jhumka earrings fashioned from 22ct gold, a traditional style in some classic colourways (like gold, red and green) that we love. 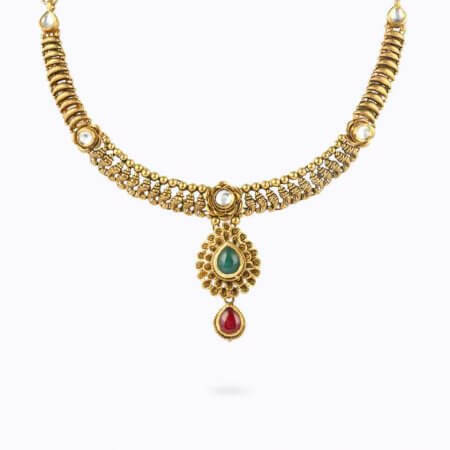 There are sumptuous collars in 22ct gold and enamel, as well as some contemporary necklaces (like 22ct Gold Ruby Jardin or Chime for a Pearl) featuring Polki.